This is so easy and it makes a great gift. Scrabble tiles - you can spell out names, places, schools, etc. Decide what you want the frame to say. 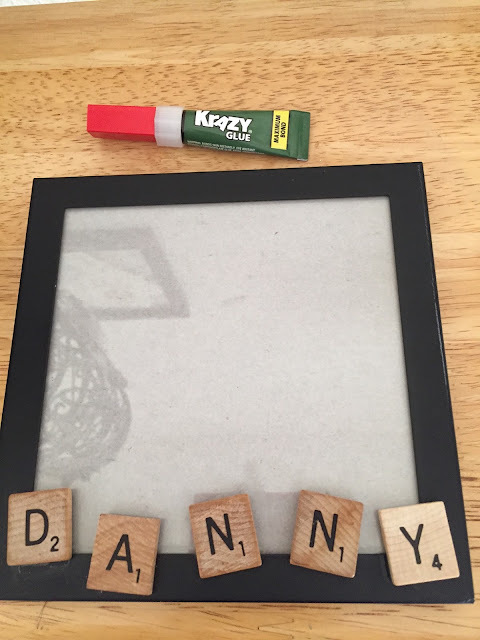 Glue your Scrabble tiles to your frame in the right order.